Since I didn't do an IMM last week, this IMM is from the past two weeks. I have to admit, even though I got a lot of great books, there's one book that I'm still sort of hyperventilating over! 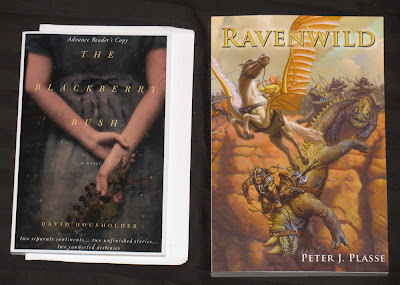 I've really been in the mood for some high fantasy lately, plus, Ravenwild combines high fantasy and time travel. I'm hoping it's epic! The Blackberry Bush looks like contemporary fiction. Thank you to both David Housholder and Michael Longenecker (the illustrator of Ravenwild)! Yep, this is why I'm having trouble breathing. I pretty much freaked out when I opened the envelope and saw Evie (BTW, the book look soooo much prettier than my horrible photography "skills" show). I tried explaining the sheer amount of win here to my fiance, but I don't think he gets it. Whenever I took Evie with me outside of the house I packed her safely in her bubble wrap envelope to ensure she wouldn't get damaged in my bag. The fiance thinks I'm crazy, but you guys get it, right? He also still thinks I'm strange for the...slightly...loud and enthusiastic dancing/screeching reaction I might have had when I opened the envelope. I tried to explain it to him in analogies he could understand, but I don't think I got through to him. So I turn to all of you for help: Can you come up with an analogy for me that puts into perspective the awesomeness that is Evie and Supernaturally? Extra points for originality and humor! I've already read Supernaturally and I'll be posting my review closer to the release date but let me just say, if you enjoyed Paranormalcy, feel free to pre-order Supernaturally. I don't think you'll be disappointed. All of the snark, character depth, ingenuity, romance, and very bad fairies from the first book are alive and strong in the second! This one's going on the 5-star Special Shelf! Thank you sooo much Kiersten and HarperTeen! Thank you to Disney-Hyperion and NetGalley! I've only read the first 10-20 pages or so of The Near Witch but, wow, are you sure Victoria Schwab is a debut author? She writes like a storytelling pro! I've already read Queen of the Dead and it was so good! If you read and enjoyed the first book (The Ghost and the Goth), then you should definitely check out this sequel when you can! I've heard nothing but great things about Wake Unto Me and I have high hopes (ghosts, romance? Yes please!) Steel seems like my kind of book too (swords, pirates, time travel, romance? Oh yes!) I got Two Moon Princess last mailbox through Net Galley (with a much prettier cover) but when I realized I could get it through the library I figured that would be easier considering I don't have an e-reader. The Wolves of Willoughby Place is a Gothic book that sounds like a fun and chilling story. Won from Oktopus Ink! 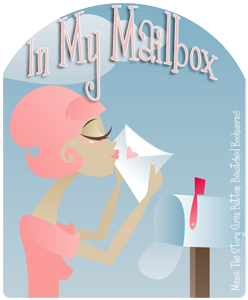 She writes some of my favorite reviews, so you should check her blog out for sure. Won from Supernatural Snark! Does Jenny really need an introduction? If you aren't already reading her blog, you're seriously missing out. 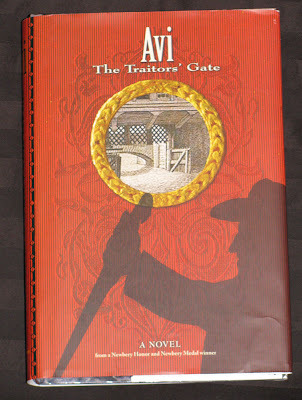 I haven't heard of this book before, but can you really go wrong with Avi? Plus, for fifty cents, how could I not buy it? OMG! You got the mother load this week. I'm curious about Ravenwild because I received an offer to review it. I'm a little scared off by it because it is nearly 500 pages. Are you going to be reading it anytime soon? I may be more encouraged if someone else is reading it too. But then again, I've not received my free e-book yet. I've not read Paranormalcy so sorry, but I can't help you out with that one. As for The Near Witch dang I wish I'd received that one from Netgalley. Oh well, maybe I'll just have to break down and buy that one, if you say its that's good. I'm curious to read your review. So many great books, hope you enjoy them all. Aaah! So jealous of Supernaturally! I'm very excited to see more of Evie and her pink, sparkly things. I got The Near Witch and Queen of the Dead through NetGalley too, but I've been dying to read Paranormalcy so that I can read Supernaturally. lol. Such an awesome haul of books. Totally following/stalking your blog, it's too cute and fun to pass up. Maybe check out mine, if you get a chance. I haven't read Steel yet but It's one of the many great books you got this weak that I haven't read. Really looking forward to your thoughts on these great books. YAY for Evie! I totally get it. I always got caught reading in class because I always carried my books on plastic backs so they wouldn't get damaged, the down side was that the bags made noise when I pulled the book out and I got busted :( But hey! I was spending a lot of time in labs! with liquids and fire and acid stuff! I had to protect my precious! 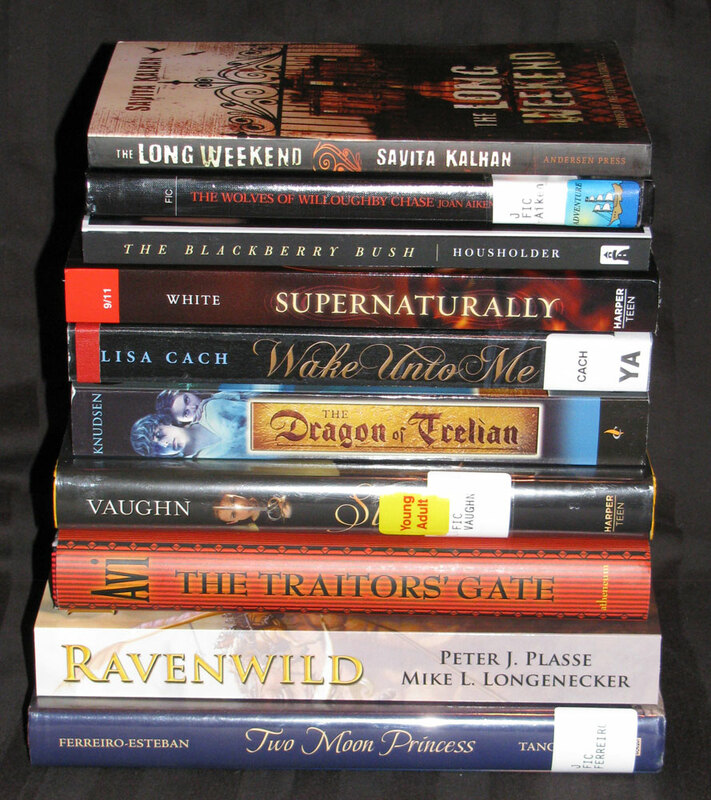 Great stack of books!!! I am excited that you got a copy of Supernaturally. I completely understand the trying to explain to fiance. I always say to my hubby that it is like getting a copy of a famous rock star CD before anybody else has heard it. He still looks at me funny when I jump up and down. I seriously can not wait for this book to come out. I loved Paranormalcy! Evie and Lend and all of them. i definitely want to read "wake unto me." enjoying reading! Oh yes, we totally get you, but putting that feeling into words? Nope. I have no idea what words would actually fully explain those feelings. You've had some amazing book. LOTS of amazing books. You're going to have some fabulous reading time over these next few weeks. Rather jealous of Wake Unto Me! Oooh Supernaturally is all kinds of pretty, enjoy! I would totally be doing a happy dance as well for Supernaturally!! I'm looking forward to your review! MegaSquee for Supernaturally !!!!! And funnily the day after we talked on goodreads we got it too!! I'm so excited about this one I might burst! Wow, you got a ton of great books! I have seen some others who have Supernaturally as well, I am so jealous! I did get Steel recently though, which I am super excited about. I have too many other books to read first though! OooOoh, high fantasy sounds very cool! I love when you name very specific genres! I think I like high fantasy...I'll refer to some of your older posts to make sure I'm thinking of the right genre. hehe. You have a tremendous amount of books this week! Happy Reading!! I want Supernaturally. You had an amazing haul this week. I hope you enjoy them all. You can find my mailbox here: http://blog.juliealindsey.com/ I'm normally a YA girls, but an eBook win this week had my mailbox full of romance. Gina, I’m totally scared by Ravenwild’s page count! But…then I think back on all of those 500+ page high fantasy books I’ve devoured and maybe this will be ok? I’m hoping. I want to try to read it soon, but as you can see I’m sort of have zero impulse control when it comes to getting books! Hopefully I’ll get to Ravenwild sooner rather than later. I’ll let you know more about The Near Witch after I’ve read it. I’ve only read the first two or three chapters. Rubita, You are going to love Supernaturally! Suz, Thanks so much for following! I hope you enjoy your time here :) Totally read Paranormalcy! Evie is so sweet and funny, but she also has a lot of depth. I love Kiersten White’s unique take on paranormals. Have you read The Ghost and the Goth? If you liked that, then I think you’ll really like Queen of the Dead. I love watching Alona and Will fight! Vy, I hope Steel is as good as it looks. I could really go for a pirate time travel romance book. Julie, Aaah, go read Paranormalcy! :P I hope you library gets Wake Unto Me too! Mine didn’t have it for a while and then all of a sudden it was there and then arrived quickly through ILL. Now I just need to get through all my other ILL books :P I’m really curious about The Long Weekend too. It sounds so disturbing. Stephanie, I love the Net Galley cover for Two Moon Princess! If I had a color printer I’d probably be super dorky and print out that cover to stick on my library copy (the library cover is sooo not pretty). I’ve heard really good things about it too. I hope you like it! A Canadian Girl, :) Just so long as I’m not being killed, then yup, I totally support you (figurative) killing to get your hands on a copy of Supernaturally. It’s good. ComaCalm, Ooh, too bad! Do you normally like high fantasy? BooksforCompany, I know, I’m almost overwhelmed by how many books are here! Danny, Yay!!! I’m so happy for you! Oh my gosh, go read so we can squee together! Annabell, Haha, I hear you on having so many other books to read. I still have books from my last mailbox. I think they’re starting to give me dirty looks. :P I hope you enjoy Steel! Lazy Girl, I love high fantasy. I usually think of it as including books like The Lord of the Rings or similar books with questing, a fictional “medieval-like” world with swords and castles, magic, and beings like wizards and elves. How'd you get Supernaturally? So very jealous. Lucky girl. Great collection. I stopped by from the Saturday Network. Wow, you got a ton of books this week. 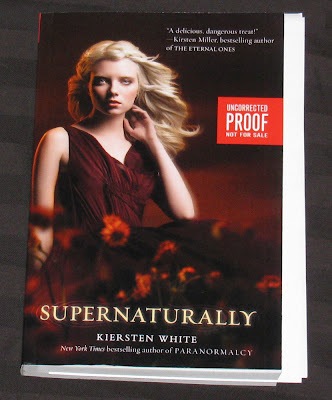 I really want to read the Paranormalcy and Supernaturally books! I can't wait to see what you think. TOTALLY jealous about The Near Witch and Supernaturally! OMG! You've got a lot of book loot this week. I've been seeing this Kiersten White ARC on lots of IMM so I must put this series on my wishlist. Will look forward to reading your review. Happy reading! BTW, love the blog header! Yay! Amazing set of books you have there! I'm so jealous! Supernaturally! Wow! I loved Paranormalcy, so much fun. I'm so jealous, you have Supernaturally! :O I can't wait to read it! :D Happy reading! Awesome books! :) I haven't read Paranormalcy,, but now I really need to hurry up. Awesome mailbox! I haven't read PARANORMALCY yet but I already envy you for the SUPERNATURALLY ARC:D This series sounds so good and everyone seems to like it, hope you enjoy it aswell! Oh, I'm so jealous. :D I want to read both Supernaturally and The Near Witch so badly and it's still so much time until they'll be released. Looking forward to your review of Supernaturally (new follower here) and I hope you'll enjoy all of these great books. Woohoo! Looks like you've got your reading cut out for you haha. I also received Ravenwild from Mike, and as a big-time LOTR fan/nerd I am looking forward to reading it :) Also, I am about to start Paranormalcy and Avi is such an awesome author! Oh my gosh, such an awesome mailbox!! Supernaturally! Too cool :) and I so wish I knwe a place where books sold for 50 cents :P enjoy your books! So excited about Supernaturally---I got it this week, too!! 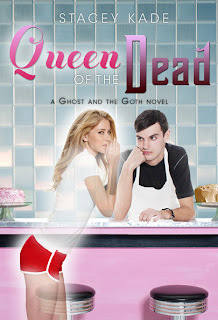 I'm looking forward to reading Queen of the Dead, too, loved the first book. 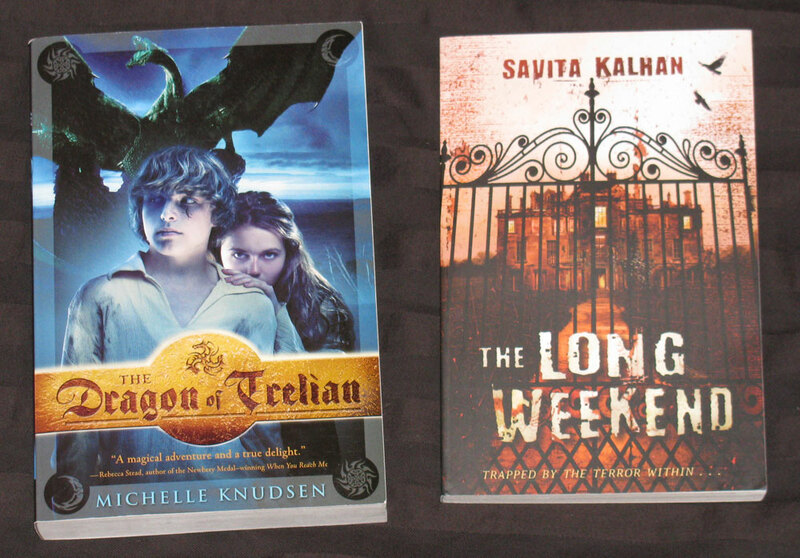 Ooh, great books this week! I read great things about Wake Unto Me too (and the cover is just romantic and gorgeous). You are so lucky this week, more so than usual! Getting SUPERNATURALLY like that, how could you? Nah, just kidding. That is one TREMENDOUS haul of awesomeness, and I'm so glad that you landed it. Especially since I'll be reading about your thoughts on these, making me look forward to reading them even more. Congrats, on the haul! And enjoy (PLEASE). Quite the IMM! That's awesome! I haven't read Paranormalcy yet, but from your reaction to the second one it is going on my TBR pile! Plus, I didn't think my library would have Wake Unto Me or Steel yet, but seeing that your library did, I went and checked mine! They don't have wake unto me (unfortunately) but I was able to reserve Steel! Happy Reading! NetGalley's been not so fun for me lately. The publishers have been rejecting my requests because I've given some of their books negative reviews, which I think is highly unfair, especially since I meet all of their criteria. *sighs*. But whatever. My library and my to-read backlog has enough books for me to keep happy. SUPERNATURALLY??? JEALOUS!!! I'm reading Paranormalcy now, and I'm loving it! I bought "Steel" but haven't had a chance to read it yet. 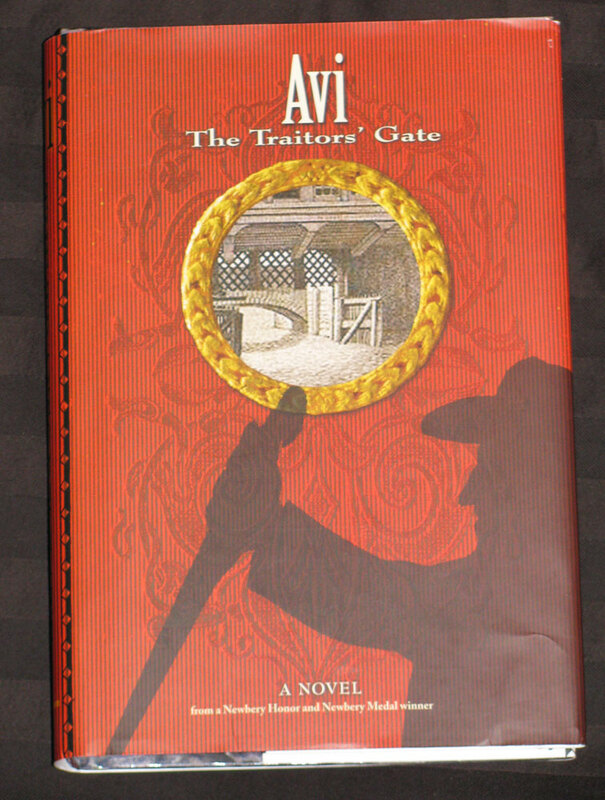 I just bought another Carrie Vaughn book, "After the Golden Age" for half-price at The Strand yesterday. Couldn't resist...it's not even "out" until Tuesday! I also bought two more of her books, "Voices of Dragons" and "Discord's Apple," b/c Amazon was getting rid of the hardbacks at super bargain prices. I can't wait to read all these books of hers. I think I am going to LOVE her! All her books are wildly different, but sound so good..!! I just got "The Near Witch," too. I can't WAIT to read it. I've wanted to since Alexandra Bracken ("Brightly Woven") posted that Victoria had gotten her cover on her blog way back when and I've been following her blog ever since. She's such a lovely person! High fantasy time travel? WHAT ARE YOU DOING TO ME? I can't wait to hear what you think of Steel. I haven't read Paranormalcy yet (I know!) but I do understand the terrific amount of win here. I'm going to steal a line from a birthday card I just gave my best friend, but tell your fiance that it's like a unicorn farting rainbows - that thing you never thought you'd see, but when you do it brings a tear to your eye. I leave it to him to determine if the tear is from the scent or the moving brilliance of that particular sight. For me, it's totally the latter. ComaCalm, It did sound interesting! I’ve since picked up and DNF-ed the book. It wasn’t for me either. The Book Angel, I really did! Though this is for two weeks. You should definitely try Paranormalcy and Supernaturally. I loved them both! I haven’t posted my Supernaturally review yet, but you can read my Paranormalcy review if you’d like. 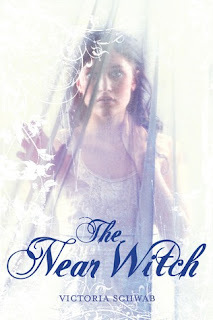 Bookish Brunette, Check out NetGalley and see if you can get a copy of The Near Witch! Yvonne, You really should put the series on your wishlist! They’re so much fun and very different from the average paranormal. Thanks for the compliment! Nina, Thanks! You really do need to read Paranormalcy! What’s great about the series too is that each book wraps up pretty well, so you don’t have to deal with really annoying cliffhangers. Miss Page-Turner, I’m enjoying it so much! I can’t wait for the third book now. :) I hope you get to read them soon! Carina, Haha, I’ll let you know if I come up with a way to show book happiness without looking crazy :) At least we book people get it. Do you have Net Galley? That’s how I got The Near Witch. Thank you for following! I hope you enjoy your time here. Audrey, The library sales here are amazing. When we move, I think the libraries are going to be one of the biggest things I miss. Little Miss Becky, Yay! I can’t wait to see what you think of Supernaturally and Queen of the Dead! I loved both of them. Dazzling Mage, Thanks! I hope Wake Unto Me lives up to the hype. I could really go for a good ghost romance. Celesta, Ooh, yay for reserving Steel! I hope you like it! Check out Paranormalcy for sure. It was so fun and unique. I hope your library gets Wake Unto Me soon. A Backwards Story, Haha, yeah, I probably looked like a very happy crazy woman when I opened the envelope :P It is very paranormal, so you may not like it if you’re not into paranormals, but Evie’s voice is what makes it for me. She’s someone I’d like to make real. I haven’t read any Carrie Vaughn books yet, but Voices of Dragons and Discords Apple are on my TBR, so I can’t wait to see what you think of all of them! Oh my gosh, I love Brightly Woven! I like both of their blogs, they both seem so sweet.